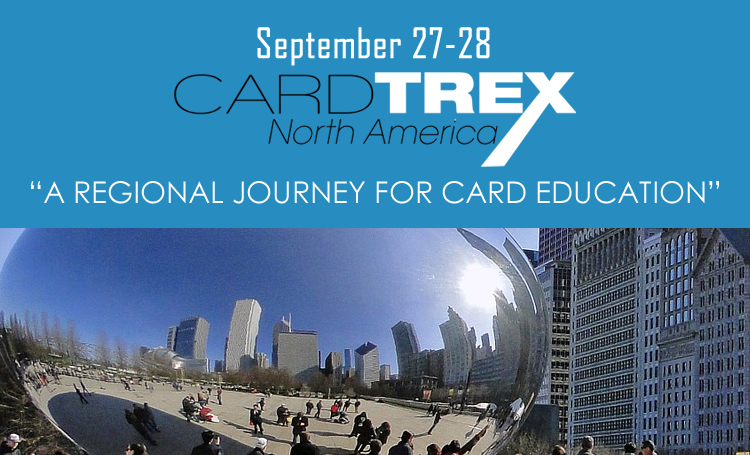 ICMA’s new CardTREX Events are slated for Chicago, Illinois on September 27-28 and Vienna, Austria from October 13-14. Shelving the names North America Workshop and EuroForum, the newly labelled CardTREX North America and CardTREX Europe replacements — allows ICMA to deliver the same great educational and networking opportunities you’re accustomed to. With a clear-cut goals geared towards fine tuning its message and outlook for the best outcome, CardTREX looks to inform and share comprehensive solutions that take into account the evolution of a card industry fiercely focused on delivering relevance in an unprecedented time of technological challenges and change and consumer expectations. This entry was posted in ICMA, Trade Shows. Bookmark the permalink.